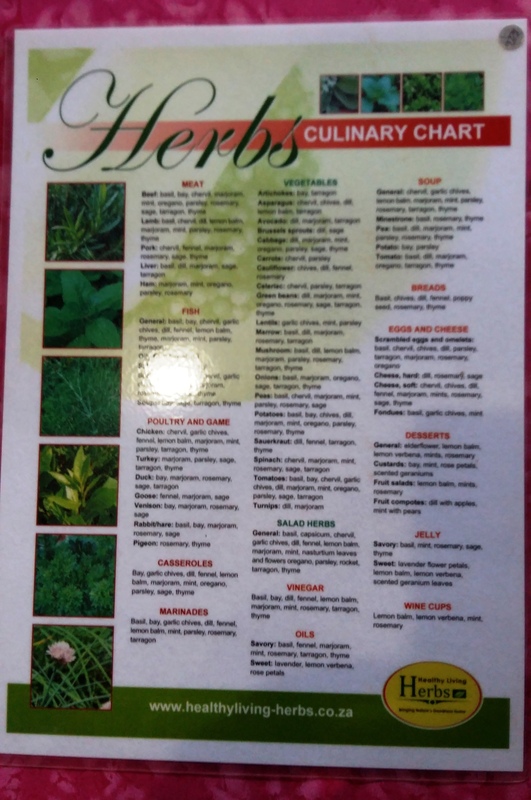 Culinary Herb Chart: What herbs can I use with which dish? Can I use Basil in a marinade? Will dill enhance the flavour of my green beans? 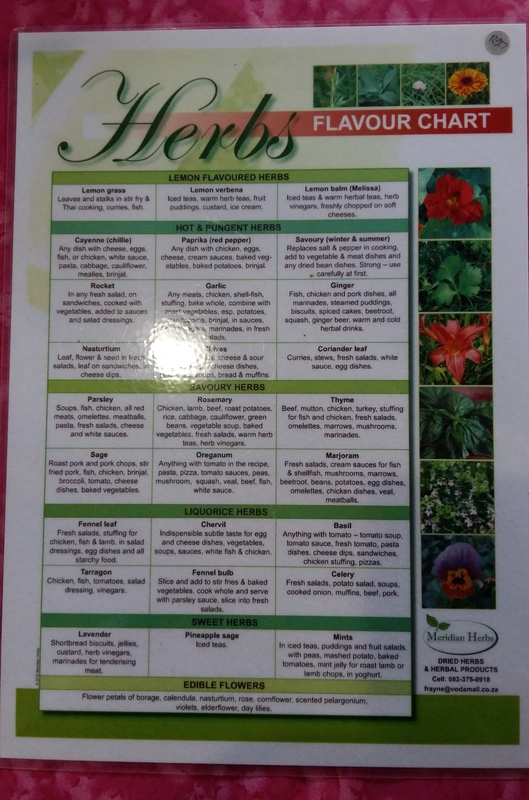 Flavour Herb Chart: Lemon flavoured herbs? Hot and pungent herbs? Licourice herbs? How can I find the perfect flavour for my scrambled egg? 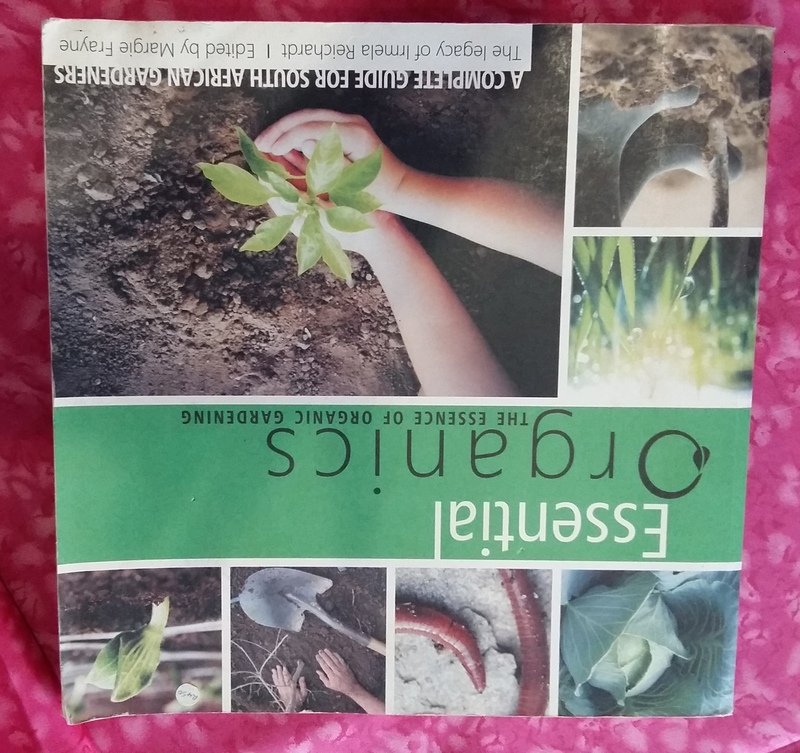 Essential Organics, The Essence of organic gardening: This comprehensive, and unusual gardening book, is an all-round treasure for the environmentally conscious gardener. It describes how to convert your garden from being chemically dependent into one that is truly ‘living’ in every sense of the word. (Excerpt from back cover of book). 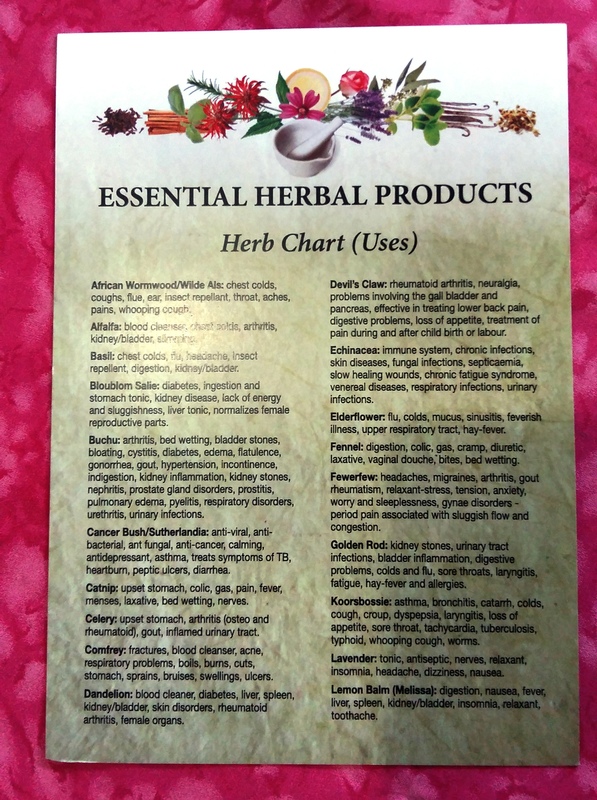 EHP Herb Chart: A basic explanation of a number of single herbs and their benefits. We sell these single herbs. 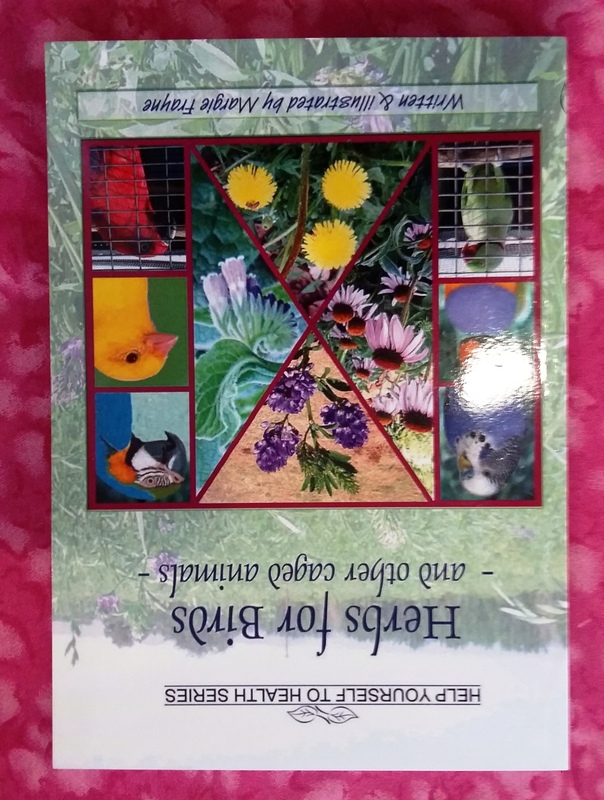 Herbs for Birds: This “Help yourself” health book is specifically aimed at caged birds and other caged animals who miss out on what the wild provides for them. It helps one to know what herbs should be included in their daily diet for their health and well-being. 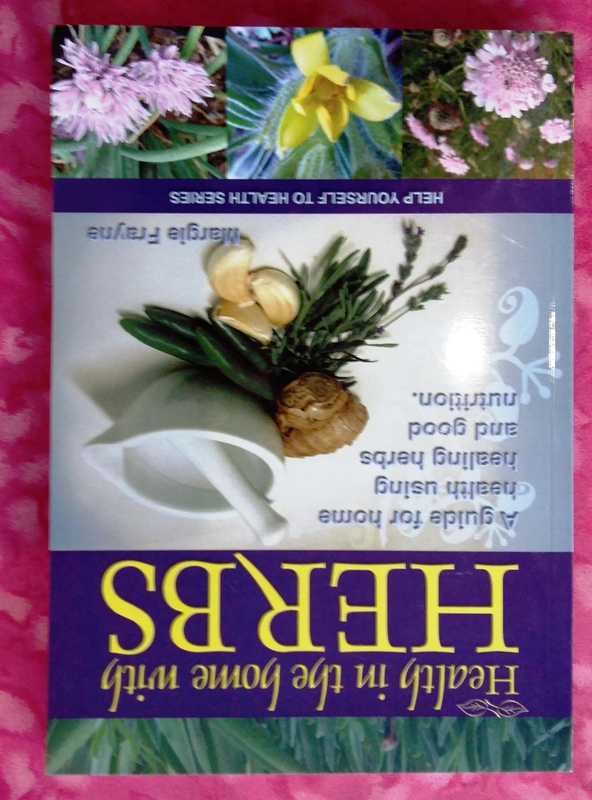 Herbs in the Home: This little book helps to teach the use of home grown herbs for primary health care, to advocate the growing of herbs and fresh food using organic gardening principles, and to stress the importance to support your health with the correct choices of food. (Excerpt from the back cover of the book). EHP Oil Chart: A basic explanation of a number of pure essential oils and their benefits. 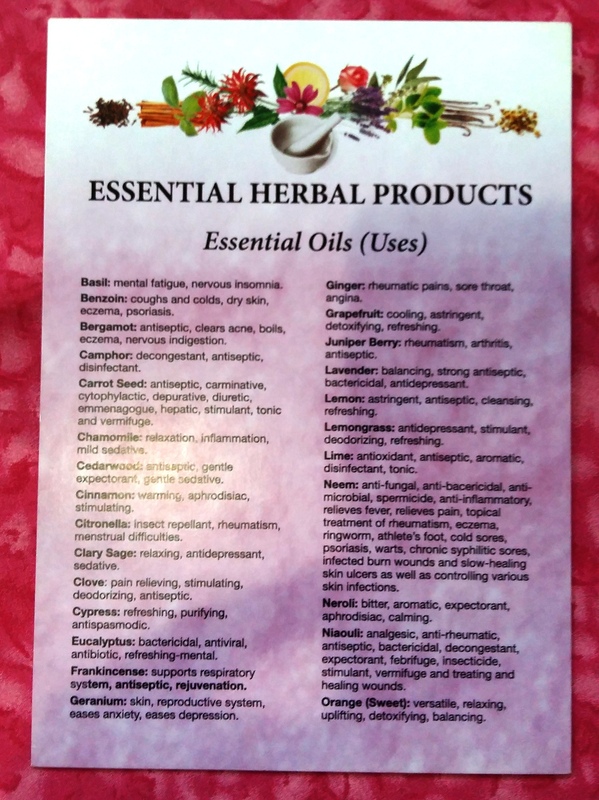 We sell most of these essential oils.